C++ is one of the most powerful programming languages used by web developers across the world today. In this free online programming course, you will learn about some of C++'s advanced but key features in just a few short hours. These will include how to create and use references, polymorphism and inheritance (two very important parts of any Object-oriented program), and C++'s interactions with software design. This course will first introduce you to references. You will learn about inheritance and creating classes that inherit behaviour from other classes. You will also learn about polymorphism and its similarities and differences to overriding functions. You will then study RAII (Resource Acquisition Is Initialization) and pointers, including their similarities and differences to references. You will learn how to dynamically allocate storage to your objects and use a Try-catch block. You will also learn about exceptions, copying, assigning, and destroying objects. You will then study the features of the Standard Library (STL) and learn about creating templates. You will learn how to vector a container for storing elements of the same type, and about using functions that C++ STL provides to make coding your project easier. The course will also cover lambdas and their usefulness as parameters of another function, as well as the different types of applications that you can write for in C++. 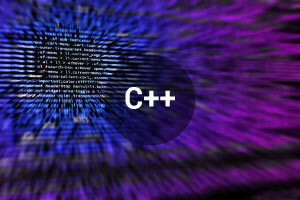 If you have a good knowledge of programming concepts and have completed Alison's Introduction to C++ Programming course, now is a perfect time to start taking this C++ Programming - Advanced Features online course. It will provide you with a firm grasp of the C++ language, give you a set of skills that will enhance your résumé, and will provide you with the confidence you need to display some really impressive abilities. So why wait? Start your next course, today. Describe how to create a reference to an object in your program. Identify the importance and usefulness of inheritance in an object orientated program. Explain what polymorphism is and how it can be useful to your program. Discuss the use of pointers and compare their usage to references. Describe creating objects in the free store. Discuss the process of copying, assigning and destruction of objects. Discuss using and creating templates. Explain how to create a vector container to hold multiple values/variables. Identify the different type of applications you can create for with C++.